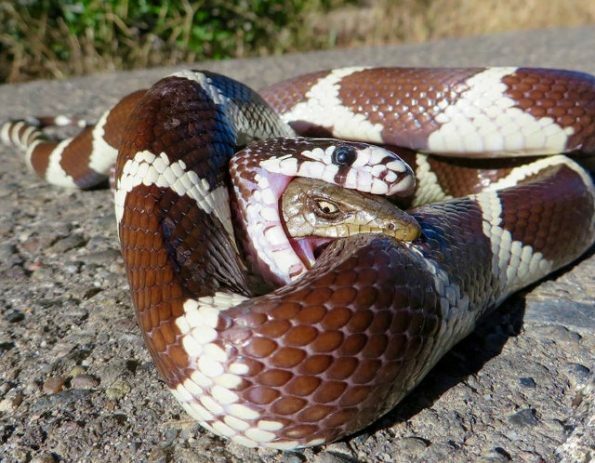 Naturalist Bryan Snyder took this photo of a lizard biting the snake that’s eating it. Well well well! I’ve heard of “biting the hand that feeds you,” but “biting the snake that eats you” is some next level stuff. Mother Nature, you crazy as hell. Thanks to Laura for the tip. You get an internet gold star!